Chugh will graduate from CMU in December. What does he plan to do next? 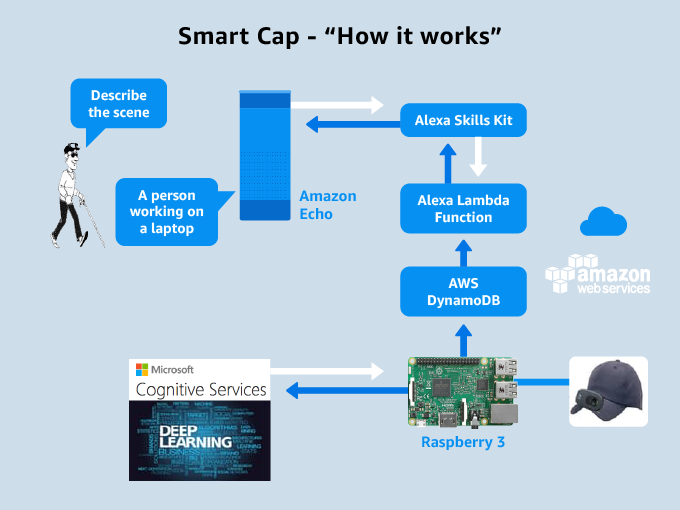 He says there’s far more the technology can do than provide the basic information the Smart Cap prototype does now. He hopes the Hackster competition will shine some limelight on his concept, attracting an investor to help him bring a full product to fruition. For example, it could help navigate both indoors and outdoors, determine location and context by using visible objects, and read books and signs. It could even recognize the face and emotional state of a person in the scene.